The conditional probability of dependence on a given drug is a question that is of substantial interest to users, parents of users, public policy makers and heath care providers. After all, if people simply stopped using a drug once a problem arises then many of the negative effects could be avoided. There is a fair degree of correlation between meeting diagnostic criteria for dependence and someone failing to stop using a drug despite clear and growing negative consequences. (Indeed this is one of the dependence criteria). Therefore, we must consider dependence to be a target of substantial interest. It can be difficult to estimate the conditional probability of dependence in humans because we mostly have cross-sectional data to work with. And so we must infer conditional probability from dividing the currently dependent population by some denominator. Depending on what one uses for the denominator, this estimate can vary. Obviously you would like some population that uses the substance but what represents a level of “use” that is relevant? One time ever? Use in the past 12 months? Use in the past 30 days? A new paper by van der Pol and colleagues uses a prospective design to provide additional data on this question. Composite International Diagnostic Interview (CIDI) version 3.0 (Kessler and Ustun, 2004), and required the presence of three or more of seven symptoms within the 12-month period since the previous interview (without requiring the presence of all symptoms at the same time). It should be noted that the CIDI includes a withdrawal symptom, which is not included in the DSV-IV manual. The study defined “frequent” use as 3 or more times per week for 12 months or more. This is important to remember when trying to assess the conditional probability. It all depends on what you construe as an at-risk population. Here, I’d say these were already rather confirmed cannabis fans. The authors were interested in the very first incidence of dependence and so therefore excluded subjects who had ever met criteria, this left 269 subjects at intake (retention in the study left N=216 at 18 mo and N=199 at 36 mo). This is another point of interest to me and affects our estimation. Three or more times per week for 12 months or more and 45% of them had never previously met criteria for dependence. There are two ways to look at this. First, the fact that a lot of similarly screened users had already met criteria for dependence suggest that this remaining population was at high risk, merely waiting for the shoe to drop. Conversely it might be the case that these were the resistant individuals. The ones who were in some way buffered from the development of dependence. Can’t really tell from this design….it would be nice to see similar studies with various levels of prior cannabis use. There were 73 cases of cannabis dependence of the 199 individuals who were followed all the way to 36 months, representing a conditional probability of transitioning to dependence of 36.7% within 3 years. Now, of course the authors were interested in far more than the mere probability of meeting dependence criteria. They assessed a number of predictor variables to find differences between the individuals that met criteria and those that did not. Significant variables included living alone, mean number of prior cannabis use disorder symptoms, a continual smoking pattern per episode, using [also] during the daytime, using cannabis to “cope”, child abuse incidents, motor and attentional impulsivity and recent negative life events. For this latter, followup analysis identified major financial crisis and separation from someone important as driving events. As the authors point out in the discussion, the predictors differ from those identified from a more general population. This makes sense if you consider that the range on numerous variables has been seriously restricted by their catchment criteria. The amount of cannabis exposure, for example, did not predict transition to dependence in this study–perhaps because it was well over the “necessary if not sufficient” threshold. This underlines my theme that the denominator matters a lot to our more colloquial estimates of the risks of dependence on cannabis. Another issue identified in the discussion was the choice to start at 18 years of age for the captured population. Cannabis use frequently starts much earlier than this and many studies of epidemiology suggest that initiation of drug use in the early teens, mid teens, late teens and early twenties confers substantially different lifetime risk of dependence. “The earlier someone starts using, the more likely to become dependent” is the general findings. The authors cite a study showing that the mean age of meeting cannabis dependence criteria for the first time is 18. This is at least consistent with the fact that 65% of their collected sample had previously met criteria for dependence. No study is perfect or gives us the exact answer we are looking for, of course. A final note on estimating the conditional probability of dependence in the population that uses cannabis 3 or more times per week for over a year. Of the original sample, 331 had already met dependence criteria and were excluded because the interest here was on the first time dependent. If we ignore those 70 people lost to followup during the study, and add the 73 to the 331 then we end up with 76% of those individuals smoking that much cannabis who have already, or will soon, meet dependence criteria. which pointed to Chen and McCarron in Current Psychiatry. This paper seems to be a set of diagnostic and therapy recommendations and contains an example Case Report. This triggered a bunch of the usual incredulity, in this case from @drogoteca. those two are but the tip of this person’s denialist iceberg on cannabis hyperemesis. He or she is quite convinced that this cannot be a real outcome of chronic pot smoking. For background, I’ve discussed the evidence for a cyclical vomiting syndrome associated with cannabis use here, here and here. Also see Dirk’s post. For grins I thought I’d see if there were any new Case reports and found several I had not seen before. A 34-year-old man well known to our ED arrived with epigastric pain, nausea, and vomiting for 4 days. He had been unable to tolerate anything orally but reported temporary relief only with long hot showers. He came to the ED that night to be admitted because he knew his symptoms would not improve, and he was always admitted in the past when his symptoms were so severe. He denied fevers, chills, diarrhea, hematemesis, melena, or hematochezia. The patient’s history was significant for similar symptoms every 2 to 3 months for approximately 10 years. He reported daily cannabis use since 1992, with only short intervals of abstinence resulting in complete resolution of his vomiting. He has been admitted to our hospital from the ED 7 times and had multiple unremarkable diagnostic tests including 3 computed tomographic scans, an esophagogastroduodenoscopy, and several specialty consults. He has also been admitted to several other local hospitals for cyclical vomiting. Other than substance abuse, he has no known psychiatric history. A diagnosis of CHS was finally made in 2012, a few months before this ED arrival. Mohammed and colleagues (2013) reported a Case (which they are at pains to point out is from the Caribbean) that resolved with abstinence. by taking hot showers, of which he took up to 15 times per day, sometimes for more than an hour. abuse program, he remained cannabis-free and on follow-up at 1, 3 and 6 months revealed no recurrence in symptomatology. Enuh and colleagues (2013) report a case from the US. A 47-year-old African American male with a history of epilepsy and drug addiction presented to the hospital with a seizure complicated by nausea, vomiting, and severe abdominal pain. He was known to be diabetic, hypertensive, and addicted to marijuana for 30 years. He smoked two to three “blunts” (cigar hollowed out and filled with marijuana) most days and occasionally up to eight blunts daily. The drug was last taken on the day of his admission. He immediately went to the bathroom and remained under a hot shower with the exception of two 15-minute breaks for the rest of the day. He believed that a warm shower could relieve his nausea and vomiting. He stated that it made him feel better than medication. 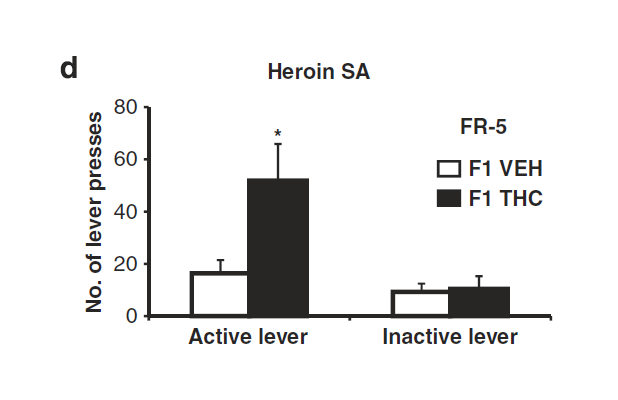 Intravenous ondansetron was of limited benefit. It was difficult to persuade him to exit the shower for the rounds and physical examination. Receiving medication and eating were problems because of this compulsive showering. The same event of entrenching himself in the shower had happened 2 months prior to his hospitalization for a grand mal seizure. Abstinence from marijuana during the hospital stay made the patient’s nausea, vomiting, and obsessive warm showering resolve after 3 days. Not as satisfying as it could be with respect to the workup and the post-hospitalization followup, of course. But interesting. Sofka and Lerfald (2013) report a series of four Cases. All had histories of chronic cannabis use, all used hot showers to alleviate symptoms and all had negative GI scans and other clinical workups. One individual was reported to have ceased cannabis use and had remained symptom free. The other three were reported as continuing their cannabis use and continuing to have symptoms. Frustratingly, the authors do not specify the followup duration for any of the cases. Her physical exam was normal except for some mild epigastric tenderness which she attributed to her excessive vomiting. Laboratory studies including a comprehensive metabolic panel, amylase, lipase, and complete blood count were normal except for anemia, which had improved since her last admission. Urine studies, including urinalysis, were normal with a urine drug screen positive for delta-9-tetrohydrocannabinol (THC), benzodiazepines and opiates. Abdominal and chest x-rays were normal. During the course of her admission, further investigation into her history revealed chronic marijuana use. She reported that long hot showers provided the only relief for her pain and nausea. She claimed that she took so many showers that her bathroom was growing excessive amounts of mold and mildew. Research into her medical records revealed an even more disturbing fact: excessive radiation exposure and medical cost. In total, she has had in excess of 97 abdominal x-rays, eight abdominal CT scans, two abdominal MRIs, an abdominal MRA, small bowel follow-through, three gastric emptying studies, four esophagogastroduodenoscopies (EGD), and three colonoscopies. Since 2003 these tests produced two abnormal findings: (1) the two most recent gastric emptying studies at 224 and 180 minutes (gastroparesis) and (2) gastritis/duodenitis on EGD. Throughout her complete sevenyear work-up, celiac sprue, peptic ulcer disease, Barrett’s esophagus, porphyrias, ischemic bowel disease, appendicitis, ulcerative colitis, Crohn’s disease and H. pylori infection have been excluded. The patient’s medical record indicated that since 2005 she has had 97 emergency room visits. Additionally, since 2007 she has had 42 admissions. Emphasis added. This is a feature of many of the clinical Case Reports that cannot be ignored. The lack of awareness of cannabis as the causal agent is costly. In terms of the dollar costs of diagnosis and care and in terms of the drugs and invasive diagnostic procedures administered to the patient. I don’t have access to Morris and Fisher (2013) which the Abstract states reports a single Case. As far as symptoms are concerned, they began about 3 years ago when I would wake up feeling nauseated. Shortly after the nausea started, I’d vomit once and (after smoking) I would feel better. This continued off and on without me giving it much thought until February of this year, when I was floored by intractable vomiting for about 48 hours. I couldn’t keep anything down (not even water), and the only time I felt like I didn’t want to die was when I was in a hot shower. When the vomiting and nausea finally relented after that first episode, I chalked the experience up to acute gastroenteritis. However, about three days later, I woke up feeling nauseated. I went to work as usual, but by noon I was throwing up unstoppably again and had to go home. By the time evening came around, I could eat light food like white rice and slept. But as soon as I awoke the next morning, I had the same stomach pains and nausea. Again I went to work and again the unstoppable vomiting kicked in right around midday. The only thing that brought relief was a hot shower or bath. So long as I was under hot water, I felt alright. At this point, I have been completely abstinent from ze herb for 5 days and I have already noticed improvement. Although I, too, was skeptical about CHS at first, I just do not know what else could be causing the problem. Although I absolutely love to get high, at my current weight/height (I am 6’1″ and 129lbs now) I am quickly running out of options. If I can’t find a solution to this problem soon, it will literally kill me. And I’ll be damned if I gonna become the first known death directly related to marijuana consumption. Naturally, the other forum users express the usual incredulity we see from the leegalizeetmon crowd. It’s worth a read. Since I have become aware of this association between marijuana use and CVS type presentations it has been my “good fortune” to care for nearly a dozen patients in the emergency department who self-reported diagnosis of CVS. Curiously, of these patients about 10 admitted active marijuana use, and the 2 who denied it had positive urine screenings for marijuana. This does not exactly make a case series, but is certainly another interesting observation. 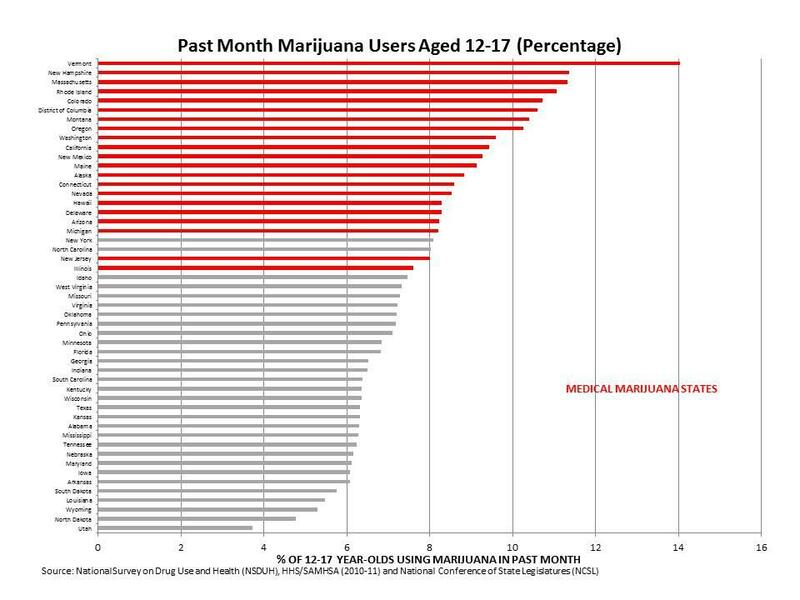 Of course, since the prevalence of marijuana use in our Emergency Department seems to approach 100% sometimes, this also may not be a statistically significant association! I conclude with points I made in prior posts. At the moment, this syndrome is clearly quite rare considering estimates for chronic cannabis users worldwide. Some of this is due to lack of diagnosis..the Case Reports make very clear that an extended history of diagnostic investigation of more usual gastric disorders is typical prior to the identification of cannabis as the causal agent. But even so, very likely this is a rare reaction. Given that, it is not impossible that there is some as-yet-undetermined source of the chronic vomiting that is merely correlated with cannabis use. [In the event your imagination fails you, people tend to suggest moldy weed, herbicide/pesticide and/or contamination from smoking devices as causes.] Nevertheless, it appears to me to be likely that as we accumulate more and more Cases separated by time and place, which involve individual users with a variety of phenotypes and environmental circumstances, which present similar clinical pictures and which seem to have chronic cannabis smoking (not synthetic marijuana products, for example) as the only commonality…. well it becomes very difficult to sustain any alternative hypothesis. Sofka S, Lerfald N. Cannabinoid hyperemesis syndrome: A case series. W V Med J. 2013 May-Jun;109(3):20-3.